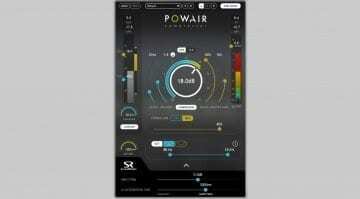 TBProAudio has released DynaRide, a gain rider plug-in. These are somewhat rare, as most developers usually release straight up-compressors. A gain rider isn’t all that different to a comp. After all, they both do the same thing – “ride the faders” to catch peaks and valleys in an instrument or vocal performance’s volume, so the latter always sounds consistent. An overly dynamic part can easily sound jarring as it jumps and pokes through the mix in an unpleasant, non-musical way. The absence of a compressor or other gain riding unit in a radio show would make for voices which may be hard to decipher, due to the natural volume inconsistencies in spoken word. With this in context, a gain rider is designed for easier “leveling out” of overly dynamic parts, whereas compressors tame dynamic peaks, add character to the sound (owing to specific circuitry), or are used as creative effects. So DynaRide probably won’t smash drums with the attitude of a 1176, but might end up sounding cool and useful for other things – like “surgical” mix leveling work. 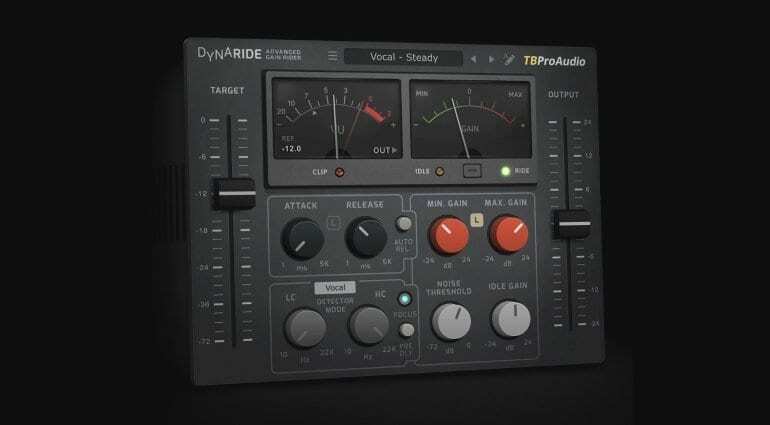 DynaRide looks modern, but with a vintage edge owing to the pair of VU meters. It has 10 controls in total – two sliders for Target and Output gain, and knobs for Attack, Release, Min/Max Gain, Noise Threshold, Idle Gain, Low and High-cut filters. 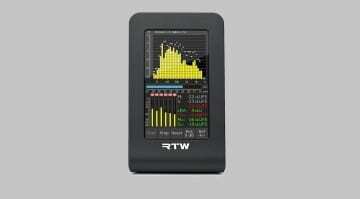 There’s also a switchable pre-delay, and gain settings can be put in as automation envelopes. Overall, DynaRide is a technically and visually impressive product that seems worth a shot for anyone capable of harnessing its potential. 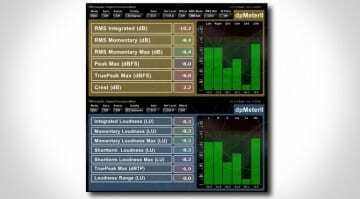 DynaRide is available in 32 & 64-bit VST, RTAS, AAX, and AU formats for Windows and Mac computers. It requires Windows XP / Mac OS 10.5 or newer to function. 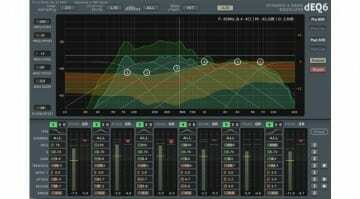 The price is 39 EUR / 45 USD / 35 GBP, which is fair for a plug-in of this kind. A free demo version is available as well.